ProEnc’s outdoor projector enclosures cooling systems are the most efficient and cost effective in the AV industry, read why below. 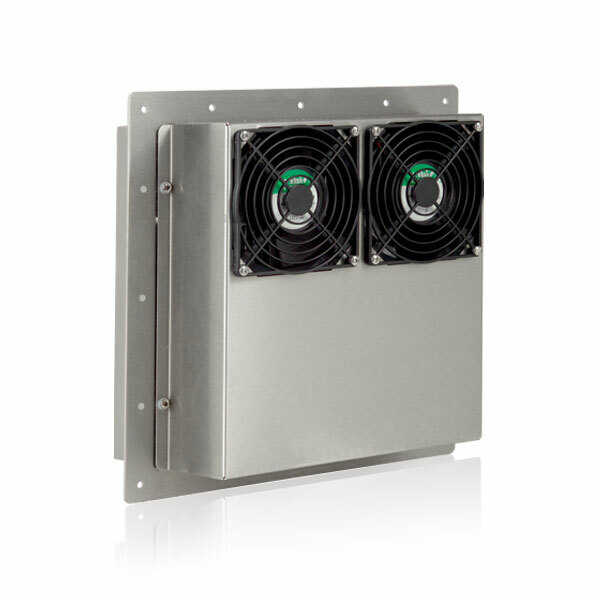 ProEnc’s outdoor projector enclosures cooling systems. With being the leading manufacturer of outdoor projector enclosures, ProEnc is the obvious choice by most leading audio visual companies, set and stage designers as their solution is the most secure, easiest to set up, and equipped with the most efficient cooling system in the industry. ProEnc are an innovative manufacturer, from offering bespoke/custom enclosures to producing soundproof projector enclosures all with patents pending. If you want the best solution, would you not want to partner with the best solution provider? Contact ProEnc on 862.234.5981. Results and causes of inadequate cooling. As you can imagine, inadequate cooling of a projector is a killer! So cooling and air flow of an outdoor projector enclosure is so important. The first thing to consider is the air entering the enclosure from the outdoors, is it filtered? If it’s not filtered the air borne dust will clog the projector and prevent correct ventilation, thus overheating and hardware. As we all know projector hardware runs at a high temperature, some class as hot. The bulbs that are used in the projectors around 97% use conventional bulbs. These put out a lot of heat as the light engine, in some cases the bulbs can reach temperatures in excess of 300 degrees Fahrenheit whilst being used. If the air flow into the projector enclosure is limited by clogged filters, the hardware will continue to overheat, if this continues the bulbs tend to explode! If you want to know how to avoid this issue and eliminate it permanently read on. ProEnc’s outdoor projector enclosures are designed to draw air into the enclosure through a plenum that prevents rain, sleet and ice entering the protective housing, then the cooling system is set to expel hot air when it reaches a pre-set temperature that the user sets, so it is totally flexible. The cooling system is also set up with a thermostatic heater, to prevent and moisture build up within the enclosure, due to the heat output of the projector and the cooler external elements on the enclosure. The heater eliminates condensation within the outdoor projector enclosure. ProEnc’s type 1 outdoor projector enclosures cooling systems. 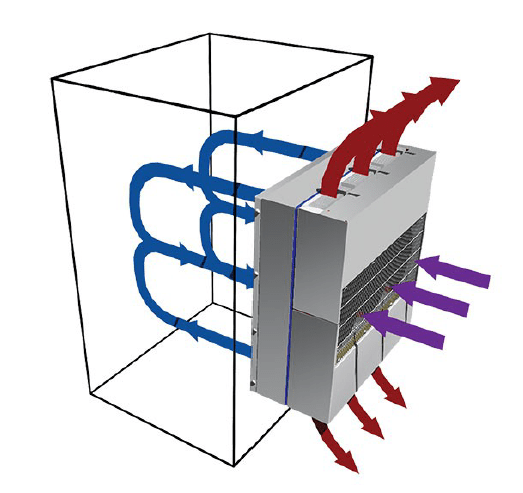 Non-Freon based cooling system; this can be mounted to the side or rear of the projector enclosure and it takes the ambient external air and brings it through a system of fins that draws cool air into the enclosure whilst exiting the hot air as in the image below. This solution is perfect for projectors up to 15,000 ANSI Lumens, anything larger needs ProEnc’s type 2 solution. ProEnc’s type 2 outdoor projector enclosures cooling systems. ProEnc’s cooling solution for larger projectors is a Freon based air conditioning system that is perfect for projectors up to 50,000 ANSI Lumens. ProEnc can be contacted on (862) 234-5981 to discuss any aspect of outdoor projector enclosure cooling systems.